I bring a unique perspective to my therapy practice. My interest in working with families in stress began when I was working as a Head Nurse on a Medical-Surgical ward in a major teaching hospital. Working with families and illness was an intense experience that provided the foundation for my future work. As I rode the emotional roller-coaster along with the families struggling with anticipated or acute illness, life and death, I was inspired by the strength and optimism I saw come through along with their sorrowful and tragic responses. As I watched individuals, couples and families learn to live with emotions that seemed to contradict each other, my interest in how to help them in their struggle with these universal tensions continued to increase. The emotional polarities that disabled families became the focus of my work and graduate study. Since that time, I have aimed to equip myself with a range of approaches that allows me to provide the most effective therapy for individuals, couples and families. In addition to my formal education as an R.N., my Master's level education in Clinical Psychology and my Ph.D. in Marriage and Family Therapy, I have been privileged to receive excellent ongoing professional training with the leaders in our field. 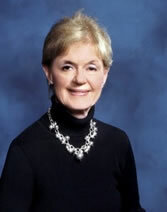 I began my intensive work in Marriage and Family Therapy with an Internship with Jay Haley, one of the founders of Family Therapy, in Strategic Family Therapy at The Family Therapy Institute of Washington, D.C. in 1981 and went on to work with Bill O'Hanlon and Patricia Hudson in Solution Focused Therapy. My increasing interest in Couples Therapy led me to conduct my doctoral research on resilience and to train in the models that have proven most effective: John Gottman's Marital Therapy and Susan Johnson's Emotionally Focused Therapy (EFT). The end result has been an integration of theories that I believe optimizes my effectiveness in working with individuals, couples and families.